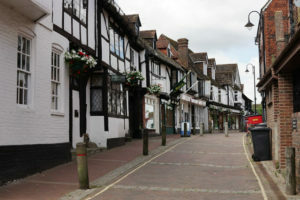 East Grinstead in West Sussex. We were in Upper Norwood, not far from Crystal Palace in South East London. As much as we loved living where we did, once we had our son, Evan, certain things began to grate. We were in a first floor flat with on-street parking, where we were never guaranteed to get a parking space outside our door. I got tired very quickly with having to carry the baby in the car seat, with my bags and shopping halfway down the road and then heaving everything upstairs. The flat itself was great for a couple, but as soon as Evan arrived it began to feel small, and even more so once he was on the move. Those issues, combined with the facts that neither my husband and I are from London originally and had always discussed moving out of London at some point, that we wanted another baby (at which point the flat may have burst at the seams! ), and that we wanted to be settled somewhere long before Evan started school, led us to start talking seriously about making the move. We started off by looking at a map and train lines. My family are in Reading and my husband’s in Kent, so somewhere between of the two of those were important and as my husband works in London, it was fundamental to be able to commute easily there. 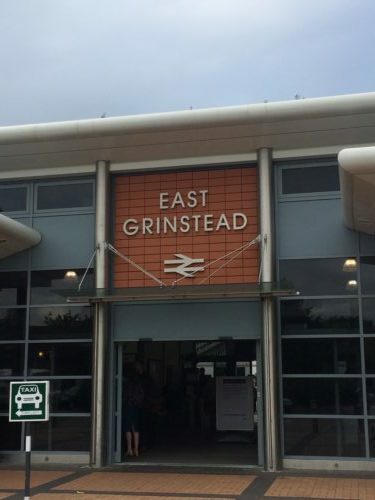 We originally started off looking at Oxted, but hardly anything was coming onto the market in our price bracket, so we began working our way down the train line until we hit East Grinstead – the end of the line! We found we could get a lot more for our money here and the commute was still pretty reasonable, in terms of both cost and time. We sold our flat very quickly in June 2016, after it had only being on the market for three days! We didn’t end up finding our eventual new home until September and only actually moved in February 2017 – the joys of being in a chain! As I didn’t go back to work once my maternity leave ended, childcare wasn’t a huge factor in our move, but schools were definitely a big deal. When we saw a house that looked good on Rightmove, we always looked at their school checker to see what the options were in the area. Reassuringly, every estate agent we met in East Grinstead emphasised how great the schools were and my friend’s mum, who worked as an Ofsted inspector in the area, confirmed this wasn’t just sales patter! We’re happy to say we’re in the catchment area for three good primary schools. The nearest secondary school is at the bottom of the road and rated Outstanding. 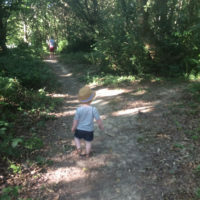 I had pretty much decided I wouldn’t be going back to my London-based charity job after my maternity leave ended, but leaving London made this decision even more likely as, financially, with commuting costs, it just would not have been worth it. In a way though, it did make the property search slightly easier as we didn’t have to worry about getting to two different mainline stations. So we were able to centre our search around stations with a direct train link to London Bridge for my husband’s job. 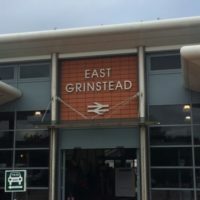 As East Grinstead was slightly further out than we had originally planned, we only looked at houses that we were within half a mile of the station to reduce the commute as much as possible. We now live 5 minutes from the station and his total commute time is 1 hour 20 minutes door to door – only 15 minutes more than it was in London! Space! We’ve moved from a small two-bedroom flat to a four-bedroom detached house with a big garden. The first things we unpacked were Evan’s toys so he felt at home, but he completely ignored them and just ran around the place for what seemed like days! It’s great to be able to accommodate guests, too – my mum can now come and stay and have her own room; in the flat the best we could offer was an airbed in the lounge, which was certainIy not ideal! 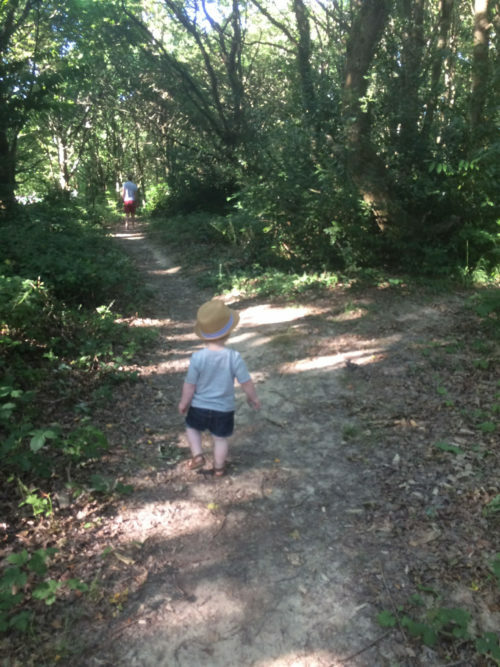 In terms of family life, my husband is much more disciplined about leaving the office on time because of the longer journey and is usually home for the bedtime routine with our son, which is great. I also can’t tell you how happy I am to have our very own driveway! On our road in London, I would guess the average age of the local residents was maybe mid-40s, yet on our new road, I think we’ve lowered the average age by a good 30 years! One of our neighbours has lived in his house since 1959, which completely blew my mind when he told me that! I also hadn’t appreciated how close we would be to the countryside. Just a 10 minute walk from our house is completely open countryside and it’s lovely to head out for a walk at the weekend. Definitely the buzz, the vibrancy and the diversity that comes with living in a city. I used to love going out for lunch a couple of times a week with Evan, too, but that café culture is missing here. Moving to a bigger property means bigger bills – our council tax has doubled, for example – so that’s definitely worth bearing in mind when you are budgeting for a move. Getting to London is easy, so I still get my city fix, but I do often have one eye on the time as trains aren’t as frequent and don’t run as late as I’m used to. Plus there’s only one route home, unlike in London when there were train, tube and bus options. 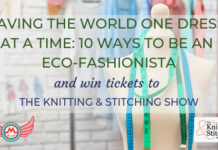 I’ve also struggled more than I thought I would with the idea that I now live in suburbia, something that was never on my list of things to do! I felt an enormous weight of responsibility when we looking at areas and houses – after all, wherever we chose would be where Evan grows up. 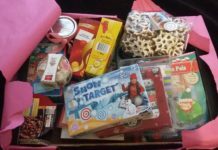 Kids are of course, hugely important in any house move, but don’t be afraid to take into account your needs as well. Getting a professional removal service in was money well spent. We used their packing service and it meant we weren’t surrounded by boxes in the run-up to moving day that Evan could use as his own personal climbing frame! They also dismantled our flatpack furniture and reassembled it at the other end, which was such a time saver! If you are moving somewhere new, with no existing networks, be prepared to put yourself out there. Everyone said to me it’s easy to make friends when you have children, but it’s not always as simple as that. The Mush app has been great though and I’ve met some really nice people through it. Be prepared to do a lot of reconnaissance missions! We spent weekend after weekend after weekend driving down to our preferred areas and getting a feel for places. 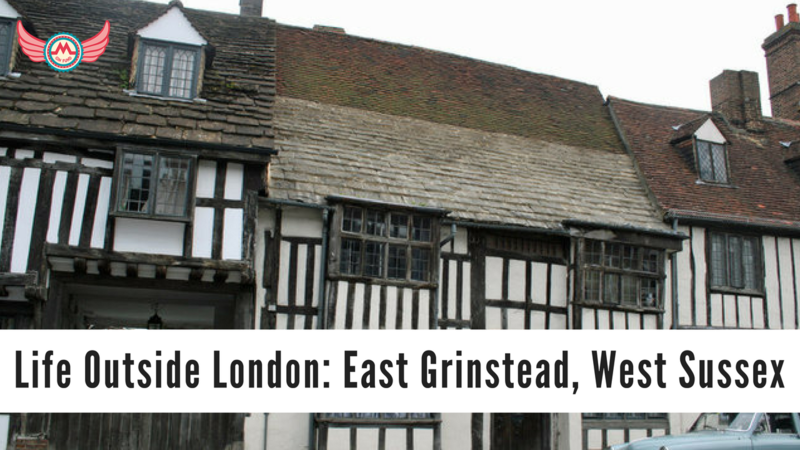 It was only after we moved to East Grinstead that I found out we apparently now live in ‘Britain’s strangest town’! (Don’t be put off, though, everyone I’ve met seems normal enough…so far!) 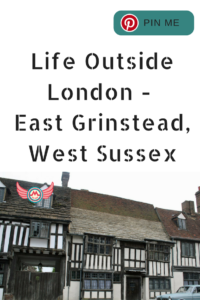 Visit East Grinstead helps showcase the local area. I also joined a couple of the local Facebook groups, such as East Grinstead Mums, before moving down here too. Hmmm. Ever since I was a little girl, I have loved London, so owning a little slice of London life really felt like living the dream. 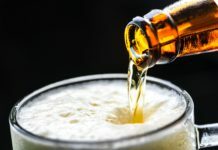 While I know long-term we have done the right thing for our family, six months in, I still do find myself second guessing our decisions…but ask me again in six months and I hope the answer will be a big fat no. Karen is a stay at home mum to one, with another one on the way. She's also responsible for a husband and a cat. An editor by trade, she hates cleaning (a problem given her domestic role), loves chocolate, and is weirdly good at pub quizzes. Her specialist Mastermind subject would be Neighbours.